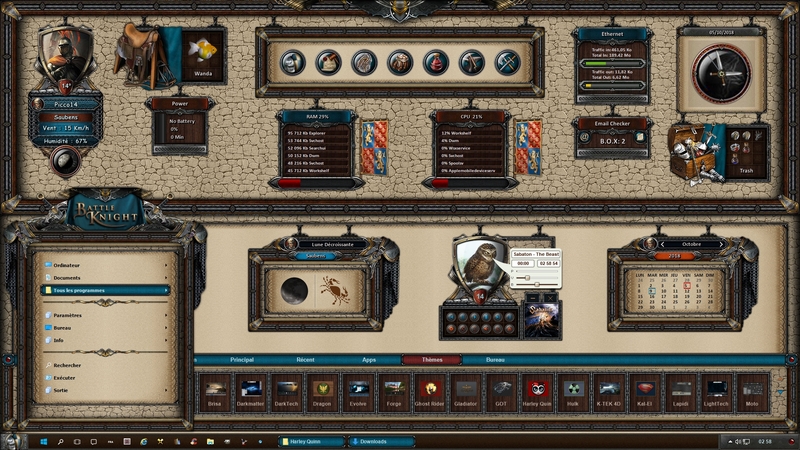 Screenshot theme "BattleKnight" for winstep realized by me from the game "BattleKnight" on the web. Hopefully you will upload this as a Winstep theme sometime, it looks fantastic.... same with your Game of Thrones screenshot, also fantastic work that deserves to be uploaded as a theme. Yeah, I want the Winstep....pleeeeeease! !